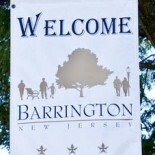 The Barrington Police Department answered 495 calls, issued 148 traffic citations and arrested 18 adults in November, according to the report presented to the Barrington Borough Council this week. In November 2012, the police department answered 466 calls, issued 95 traffic citations and arrested 28 adults. Calls to the police in October included three for theft, two for burglary (one residential, one motor vehicle), two for possession of controlled dangerous substances (drugs), two for violation of court orders, one for harassment, one for aggravated assault, one for shoplifting, one for credit card fraud, one for theft of a motor vehicle and one for sexual contact. This entry was posted on December 19, 2013 by Barrington Bulletin in Crime and tagged police report.